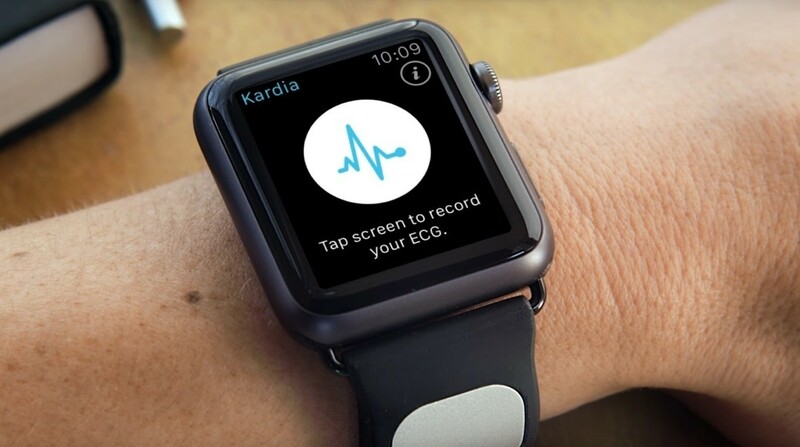 AliveCor's KardiaBand is the first Apple Watch accessory to gain FDA approval, allowing users to get an electrocardiogram (EKG) reading right from their smart band. Naturally, you can use that to take a look at your EKG readings, but AliveCor doesn't want to stop there. The health tech company teamed up with the Mayo Clinic on a study to show that EKG can be used to non-invasively detect high potassium levels in your blood, which is a condition known as hyperkalemia. It's linked to congestive heart failure, chronic kidney disease and diabetes. "People die from too much potassium because too much potassium causes your heart to malfunction," AliveCor CEO Vic Gundotra tells Wareable. "The electrical activity in your heart can go berserk, and that can lead to some very bad outcomes, including death." AliveCor used 23 years of data from the Mayo Clinic, including 2.1 million EKGs from 700,000 patients, to get four million serum potassium values to train its deep neural network. That neural network, Gundotra explains, is actually made up of a few neural nets, including ones trained to block out data that could pollute the data set. Hyperkalemia and EKG have always been linked, and doctors have known to look for things like the amplification of T Waves and the flattening of P Waves in EKG readings, but that is still up to a doctor's interpretation. It gets even more complicated when you realise that not everyone has T Waves, Gundotra says. How far has ResearchKit come since it hit the scene? AliveCor and Mayo Clinic's new software tool, using readings from the KardiaBand and Apple Watch, can now detect those same signs with 90-94% accuracy, taking away some of the human error and helping doctors confirm patients with hyperkalemia more quickly, getting them treatment faster. The tool has been in the works for a year and a half now, and AliveCor is hoping to further tweak its neural network so that it can turn the tool into a "global model". Gundotra likened the goal to turning it into a thermometer, where anyone could use it and see their value instantly. There's no calibration for gender or weight or age or anything similar. Gundotra cautions that it still has a long way to go to achieve FDA clearance on hyperkalemia detection. The world of medicine requires rigorous clinical evidence and peer-review, but he says it's all worth it in the end if it saves lives. He hopes that, one day, AliveCor will be able to create a device or service that can tell you your potassium level at home in 30 seconds. "The government requires that a physician does diagnoses. A tool can give you an indication but a doctor does a diagnosis," he says. "It is our dream, it is our goal, we are working very hard towards building a case for the FDA for a tool that will be able to tell you a potassium value. And once you have that potassium value the doctor can look at that and make a diagnosis." Every so often, we hear from companies publishing studies about how their devices may have the ability to detect certain conditions. These studies are wildly exciting, and point to a future where gadgets can save our lives. In the world of science, however, initial studies are often just the beginning. It takes years upon years of countless data to be able to actually prove something scientifically. On top of that, you often need someone to go around and replicate your study to confirm. The problem is, as the BBC pointed out, most scientists can't replicate their peers' studies. This can create a crisis of confidence when it comes to health. You've likely seen effects of this in the news, where every so often a study comes out and says coffee is good for you, then coffee causes cancer, then coffee is good for you again. This is not lost on AliveCor, which also had its EKG abilities confirmed by a study from the Cleveland Clinic. "Some companies, and I think this is especially true of tech startups, publish data that gives people false hope. You see these studies where the number of participants is tiny, where a number of participants already had the indication," Gundotra says. "That's not real science, real science is when you have millions of EKGs, 700,000 patients, over 23 years, and you have the real, clinical work and you go through the process." When asked what separates AliveCor from other companies getting into health tech and health studies, like Apple and Fitbit, Gundotra says it chose a specific path to tackle measures of physiology that doctors use to make diagnoses. For instance, he points out that AliveCor skipped over heart rate and went straight for EKG because it's a measurement that the government has deemed so significant to your health that they need to regulate it. AliveCor is also looking to expand its offerings past the Apple Watch, which it had chosen based on its popularity and customer feedback, though it also notes that it needs FDA clearance for KardiaBands for other smartwatches so that could take a while. Regardless, AliveCor doesn't have any plans to stand still, as Gundotra says it's looking to use EKG and other measures of physiology that are valuable to determine conditions like heart disease and diabetes. For instance, it has already started working with Omron on blood pressure. As AliveCor continues its work on parsing measures of physiology, Gundotra returns again and again to a singular saying: "Show me the data."